Today marks the first day of student tours for the 2011-2012 school year. And with the new school year comes a new year of partnerships with schools and school districts from across the Dallas/Fort Worth Metroplex. I am especially excited because it also marks the fifth year of our partnership with the Dallas Independent School District. As a result of this relationship, every 4th grade student in Dallas ISD visits the museum for a docent-guided A Looking Journey tour. 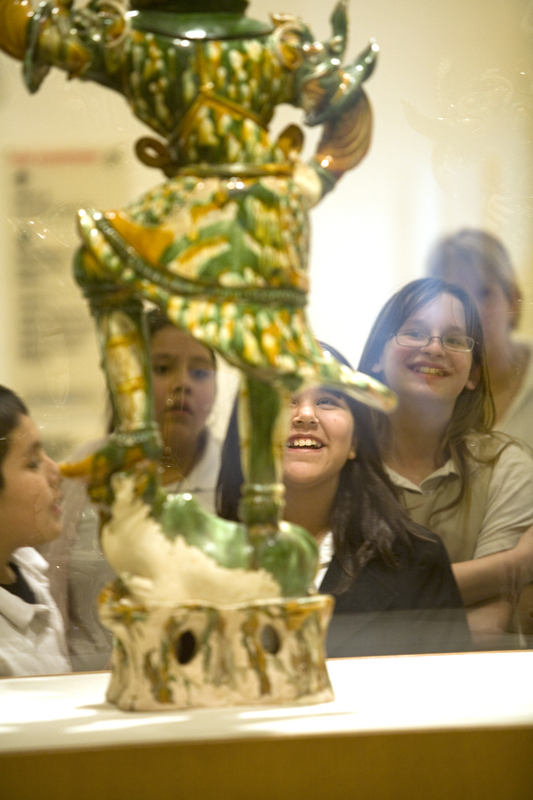 It’s always gratifying to receive notes from teachers about their visits to the Museum. Below are just a couple of quotes from DISD art teachers who visited the DMA last year with their students. Please pass my appreciation on to your entire team and let them know that we are ever thankful for what you do so our students can experience art. I just really can’t fully express how grateful I am. Going to the DMA is one of the biggest highlights of my students’ year! I want to thank you for a very successful, enjoyable, and educational visit to the DMA for our 4th grade yearly visit this year. It was the best visit and one in which all of the docents were well-informed, very well-prepared, and there for the groups. My students couldn’t stop talking about the trip, and they want to return to the DMA. 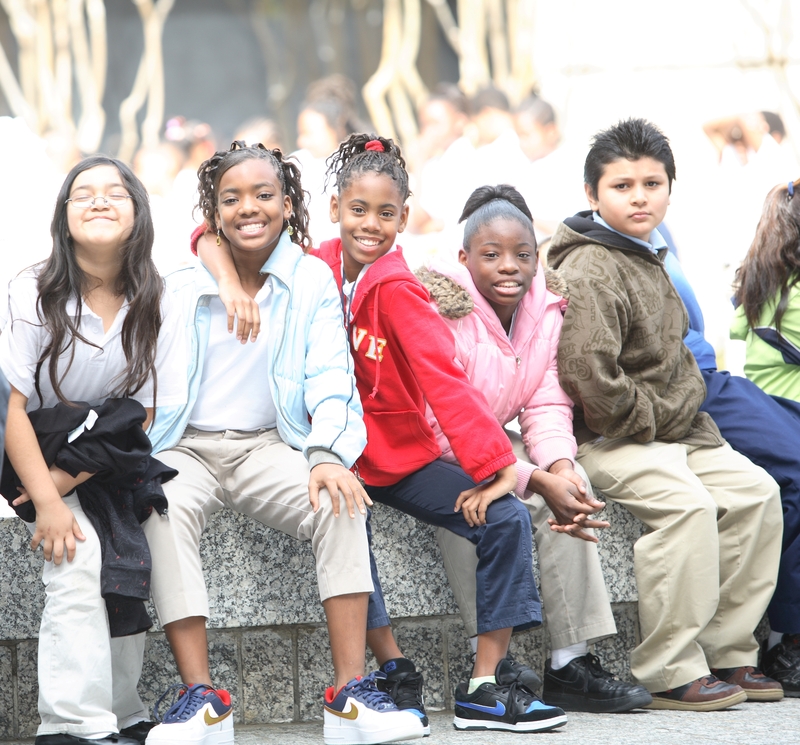 Since September 2007, we have welcomed over 45,000 DISD 4th graders to the Museum for docent-guided tours. It’s crazy to think that the 4th graders who visited us in 2007 are in 8th grade this year! I often wonder what sort of impact their DMA visit has had on them. Have they visited the Museum again? Do they still think about their favorite work of art from the DMA? All of us at the Dallas Museum of Art value our partnership with Dallas ISD, but it’s really the docents who benefit most from this relationship. 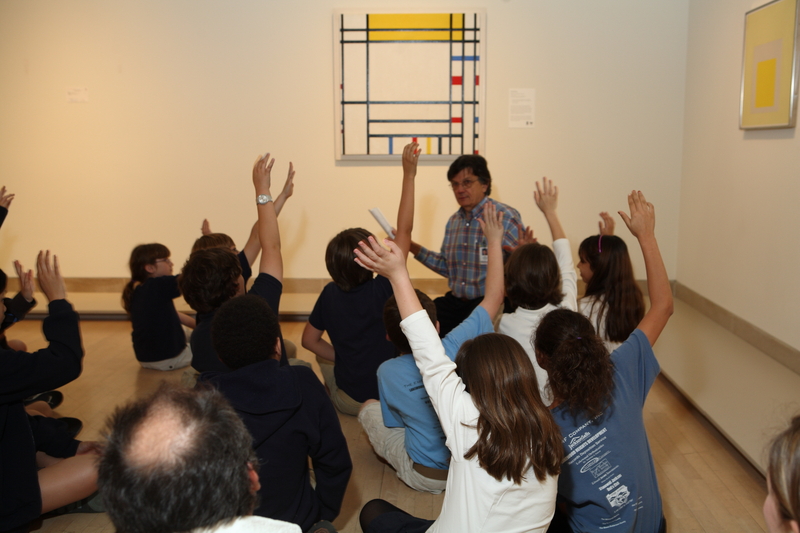 They’re the ones who get to spend each day in the galleries, experiencing works of art with these students. And in a time when budget cuts and questions about the importance of the arts in education are in the headlines, all of the docents are thrilled that Dallas ISD values our partnership enough to ensure that these visits continue to happen.